Earlier this year we launched a series of courses for digital construction professionals within the global built environment. The response has been outstanding on the demand for more BIM knowledge ­– from the basic concepts through to executive board level and what this means at the cutting edge of the business. We have now extended the training portfolio and added a new course focusing on Digital Engineering: Digital Engineering Awareness. 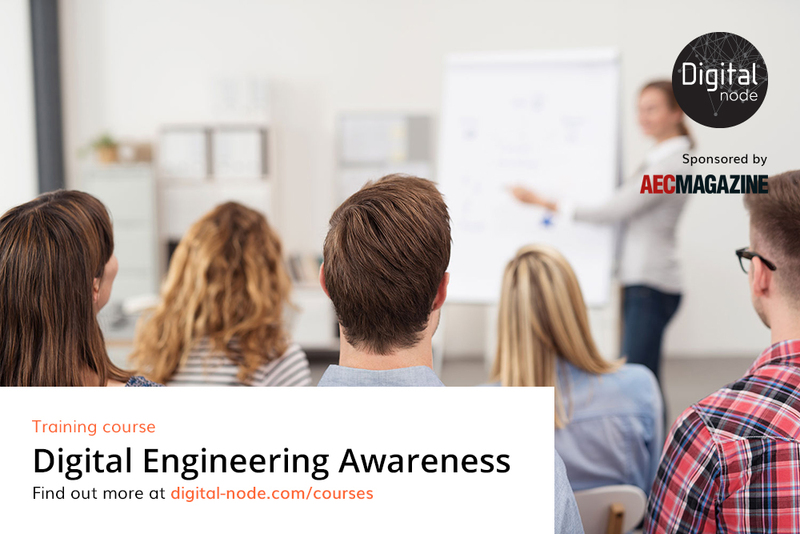 This new course focuses on understanding the fundamentals and concepts of Digital Engineering (DE) in the digital built environment, and how digital processes can aid in the productivity of a project utilising DE. When working with BIM, too often people think of buildings and, more often than not, infrastructure takes a back seat. Therefore, we have developed a course which specifically offers education for industry professionals who work in the delivery, management and operation of infrastructure assets. Delivered in Australia in our classroom environment, we break down the concepts of DE and digital processes is the first step in becoming fully DE compliant. Not only is this crucial in a growing global market where infrastructure assets need to be delivered intelligently using a governed structure, but it is also vital in unlocking knowledge and insight, creating a platform for true collaboration. We have also designed this course to be tailored to individual organisations, and it is ideally suited to bespoke in-house delivery which can be run anywhere in the world. By explaining the processes, terminologies and technologies we use in DE, we can provide individuals and organisations with a new set of skills which they can apply to support their projects – giving them a competitive edge over their competitors and a more desirable part of the supply chain for clients.